After a series of setbacks in the courts that repealed many of the First New Deal’s program, President Roosevelt pursued a new set of initiatives including the Resettlement Administration in 1935. It was charged with aiding the poorest third of farmers displaced by the depression and particularly focused on resettlement on viable lands and providing low-interest loans. Directed by Rexford Tugwell, a Columbia University economist, the RA came under immediate scrutiny. 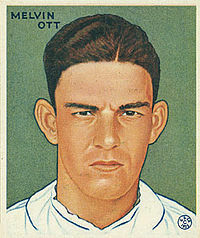 Realizing the battle for public opinion had begun, Tugwell hired his former student Roy Stryker to lead the Historic Section within the Information Division of the RA, which in 1937 was moved to the FSA. Now, from Yale, a web-based platform for organizing, searching, and visualizing 90,000 of those 170,000 photographs created by the United States Farm Security Administration and Office of War Information (FSA-OWI) from 1935 to 1945: Programmer. 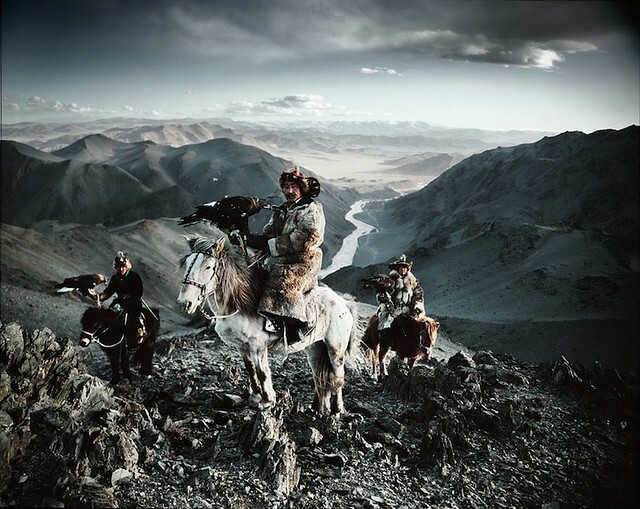 Before They Pass Away is a powerful documentary series by photographer Jimmy Nelson featuring dozens of cultures around the world whose people live in seclusion and are at risk of fading away. Traveling across five continents, the English photographer manages to embrace the various cultures he has encountered and highlights each of the 35 tribes’ unique beauty. 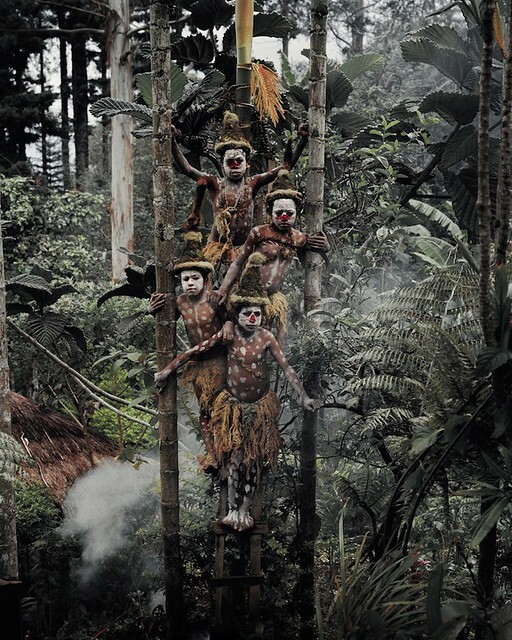 From Ethiopia and Nepal to Papua New Guinea and Siberia, Nelson exhibits a wide array of environments that these diverse tribes inhabit.The refreshing project goes beyond exhibiting humans across the globe, though, documenting their culturally rich lifestyles and appearances. Each community displays their own means of survival while retaining their distinct spirituality and exhibiting their diverse decorative adornments. More of the story– and many more photos– at My Modern Met. 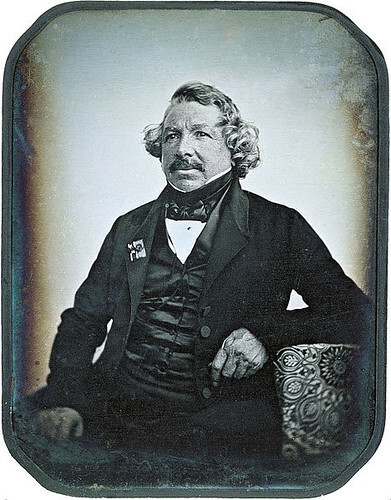 As we celebrate diversity, we might send snappy birthday greetings to Louis-Jacques-Mandé Daguerre; he was born on this date in 1787. An accomplished painter, Daguerre became fascinated by the work of Joseph Nicéphore Niépce, who took the very first photograph in 1826. 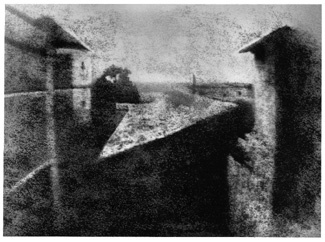 Niépce’s camera obscura shot took eight hours’ of exposure time; Daguerre was able to develop a process that cut the exposure first to 20 minutes, and ultimately (using better lens and different chemistry) down to several seconds. 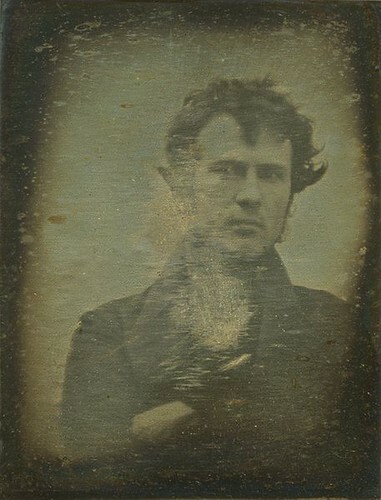 His technique, known as the daguerreotype process, was the first practical photographic process. Before turning to photography, Daguerre partnered with Charles Bouton to create the Diorama, a theatrical experience viewed by an audience in a specially-constructed theater next to Daguerre’s studio in Paris. As many as 350 patrons would file in to view a landscape painting that would change its appearance both subtly and dramatically. The show lasted 10 to 15 minutes, after which time the entire audience would rotate (on a massive turntable) to view a second painting. The Diorama was a huge hit– it’s estimated that, at its height, Daguerre’s Diorama had 80,000 visitors a year (at an entrance fee of 2.50 Francs). Daguerre and Bouton opened a second show in Regent’s Park in London, which was similarly successful. 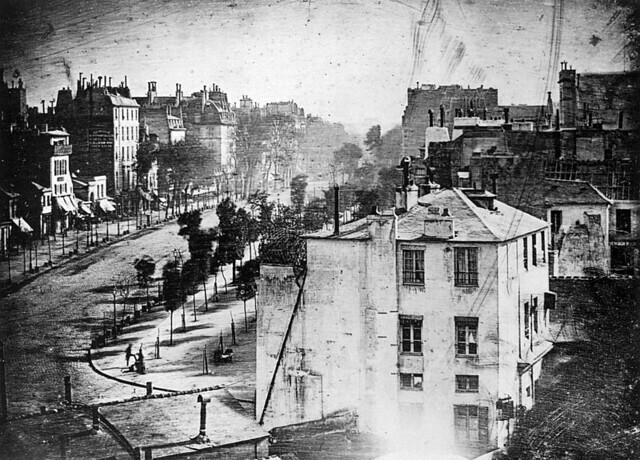 But that success attracted imitators, who became competitors; Daguerre’s interest wained… and he turned to photography. The earliest reliably dated photo­graph of a person, taken in spring 1838 by Daguerre. Though it shows Paris’ busy Boul­e­vard du Temple, the long exposure time (about ten or twelve minutes) meant that moving traffic cannot be seen; however, the two men at lower left (one apparently having his boots polished by the other) remained still long enough to be dist­inctly visible. The image is laterally (left-right) reversed, as were most daguerre­o­types, as seen in the build­ing signage at upper left. 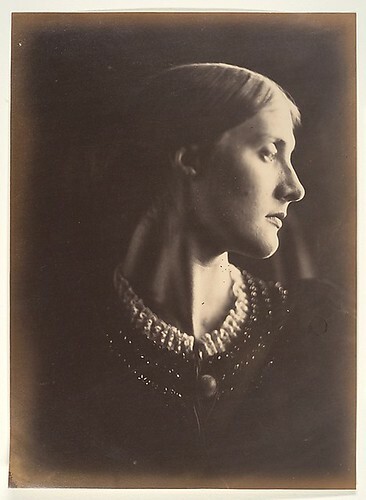 When Julia Margaret Cameron (1815–1879) received her first camera in December 1863 as a gift from her daughter and son-in-law, Cameron was forty-eight, a mother of six, and a deeply religious, well-read, somewhat eccentric friend of many notable Victorian artists, poets, and thinkers. “From the first moment I handled my lens with a tender ardour,” she wrote, “and it has become to me as a living thing, with voice and memory and creative vigour.” Condemned by some contemporaries for sloppy craftsmanship, she purposely avoided the perfect resolution and minute detail that glass negatives permitted, opting instead for carefully directed light, soft focus, and long exposures that allowed the sitters’ slight movement to register in her pictures, instilling them with an uncommon sense of breath and life. 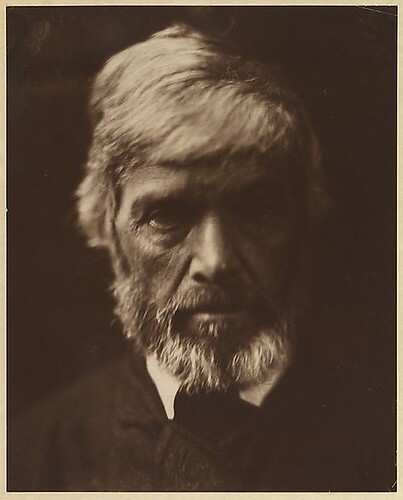 The exhibition will feature masterpieces from each of Cameron’s three major bodies of work: portraits of men “great thro’ genius,” including painter G. F. Watts, poet Alfred, Lord Tennyson, scientist Sir John Herschel, and philosopher and historian Thomas Carlyle; women “great thro’ love,” including relatives, neighbors, and household staff, often titled as literary, historical, or biblical subjects; and staged groupings such as her illustrations for Tennyson’s Idylls of the King or her Annunciation in the style of Perugino. Julia Jackson, when she was Mrs. Herbert Duckworth. Widowed by Duckworth, Jackson married Sir Leslie Stephen, and gave birth to the painter Vanessa Bell and the writer Virginia Woolf. Read the full story and see more photos at the Metropolitan Museum of Art, where the first exhibition of Cameron’s work mounted in New York in a generation is on show through early January. 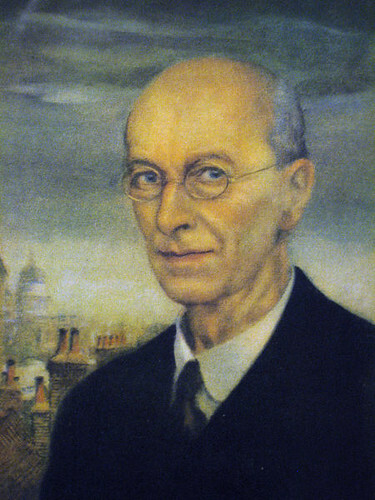 As we say “cheese,” we might spare a thought for Arthur Rackham; he died on this date in 1939. 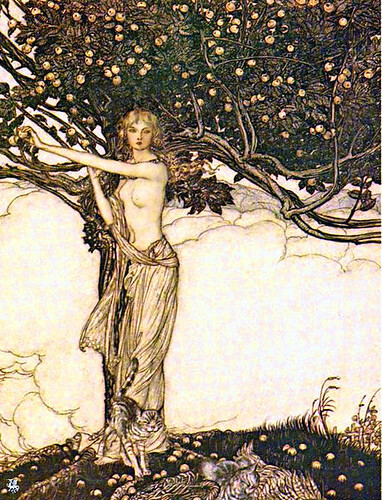 One of the leading illustrators of the ‘Golden Age’ of British book illustration (1900-1914), Rackham worked in a style that, while characterized at the time as “a fusion of a northern European ‘Nordic’ style strongly influenced by the Japanese woodblock tradition of the 19th century,” clearly owed a debt to the Pre-Raphaelites. Rackham won a gold medal at the Milan International Exhibition in 1906 and another at the Barcelona International Exposition in 1912; his works were included in numerous exhibitions, including one at the Louvre in Paris in 1914. More– from the first photo of the whole earth and the first x-ray to the first color photo and the first picture of the surface of another planet– at OObject. 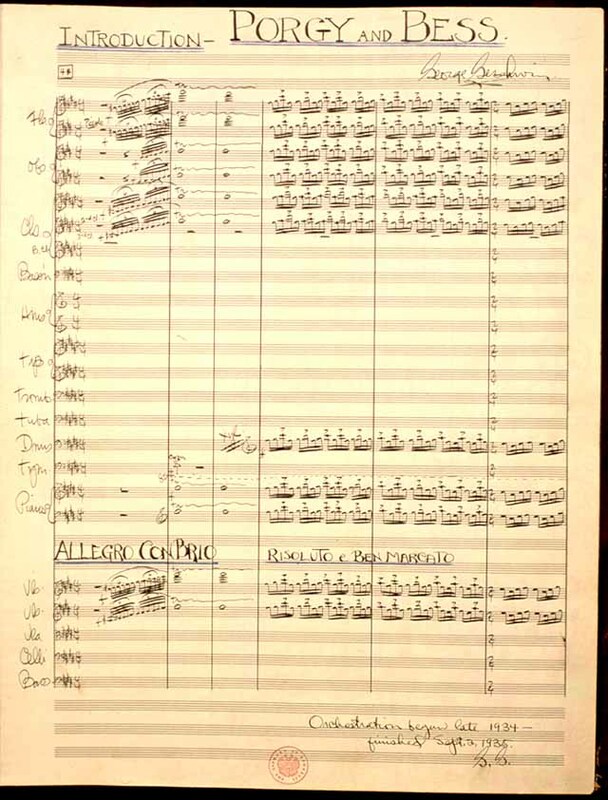 As we say “cheese,” we might recall that it was on this date in 1935 that George Gershwin signed his name to the completed orchestral score of the opera Porgy and Bess. The composer considered the 700-page work his masterpiece; many critics agree, considering this first American opera to be the finest American opera.